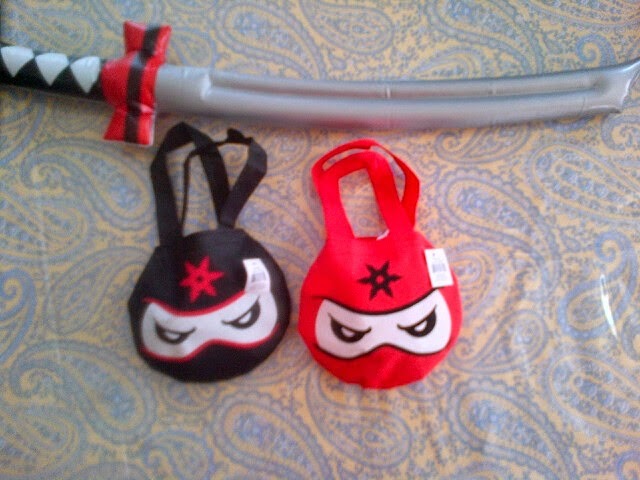 Get It Done Mommy: Ninja/Karate Party! Had fun impromptu drinks with one of my buddies last night. The final kid party (that I have to host) for 2014 is upon us. I am so excited to fast forward to the end! Terrible, I know. I usually LOVE stuff like this, but after weeks of parties I am toast! Goody bags are stuffed with little ninja men, ring pops, ninja gummies, parachute men, fortune fish and other little goodies + everyone will get a sword. 2:30 party start time can't come quick enough!